Well I am not having much luck finishing my ongoing narrow band projects. The weather (cloud cover) is not cooperating to allow me do the long exposure subs that are required. 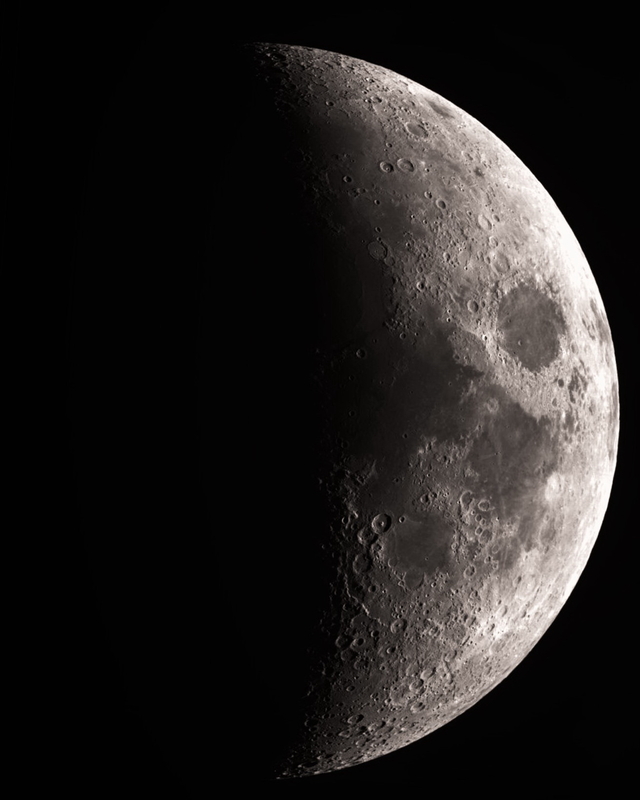 Once again, I took some time out to shoot the moon. This was using FS60Q (the FS60CB with extender) at f/10. Again used my guide camera: QHY5 II and shot 2 minutes of video. 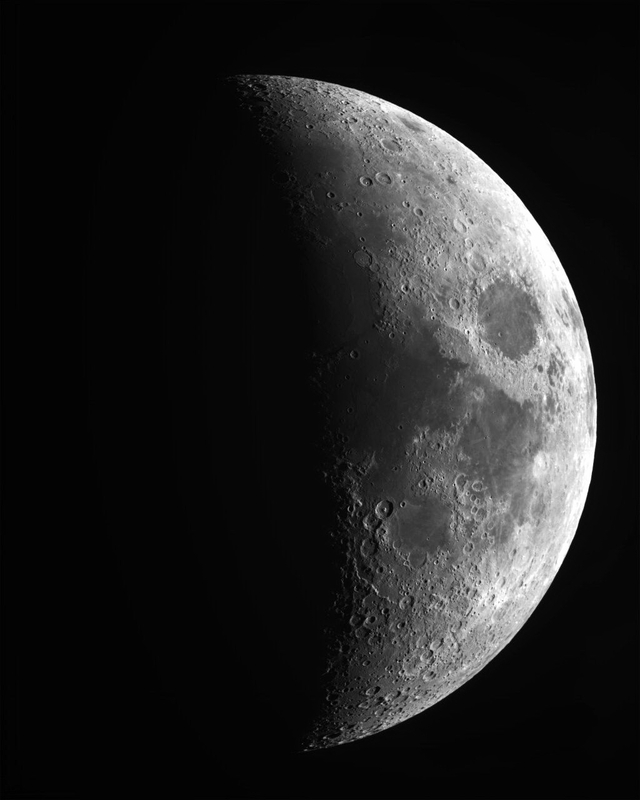 The video frames are stacked in RegiStax 6 to make the final image (over 900 frames). Resolution 1024 x 1280.